The Springfield Symphony Orchestra will present the Springfield Youth Orchestras and Children’s Chorus in concert on Monday, March 18 at 7pm at the John Legend Theater. The annual John Smarelli Scholarship Concert will feature the Springfield Youth Symphony under the direction of conductor Carlos Elias, the Youth Chamber Orchestra under the direction of Julie Ellis, the Youth String Ensemble under the direction of Janet Fu, and the the Springfield Children’s Chorus under the direction of Sean Hurley. The evening will also feature pre-concert performances by the LiveWire chamber music ensembles, which includes a string quartet, woodwind quintet, cello/woodwind quartet, brass quintet, and percussion ensemble. These pre-concert performances will take place in both the lobby, as well as on the John Legend Theater stage. 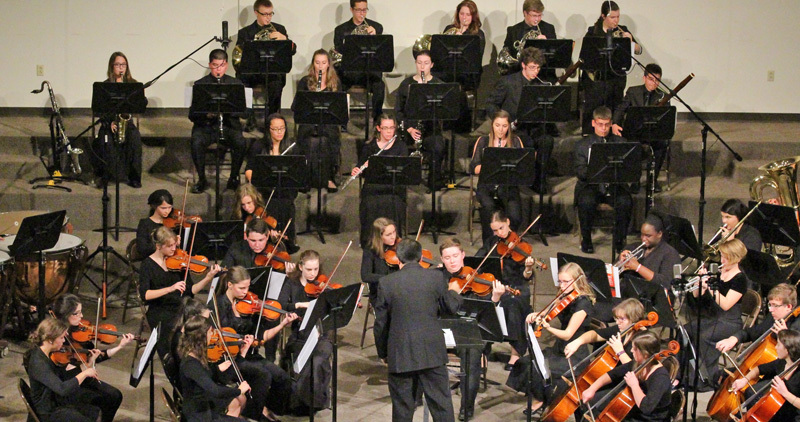 During the concert, Youth Symphony seniors will be honored, and the annual John Smarelli Scholarship will be awarded to a young musician who plans to continue his or her music education in college as either a major or minor. This season’s Concerto Competition winner, Youth Symphony percussionist Ethan Marsh, will perform the third movement from Ney Rosauro’s Concerto No. 1 for Marimba. The Springfield Youth Orchestras and Children’s Chorus features more than 100 young musicians from over 25 schools and homeschools from an 8-county area. All of our ensembles offer an enriching musical education that enhances the private instruction and school ensembles our students participate in, and include one of the only opportunities for students in the area to participate in a full orchestra setting. All are welcome for this evening of music. For tickets: Call the John Legend Box office at 937-505-2945 or online. Tickets are $8 (general admission), and can be purchased in advance, or the night of at the box office.